Granada 403 is a beautiful self catering holiday unit that has 2 bedrooms and 1 bathrooms situated in the ever popular holiday town of Margate. The comfortably furnished lounge has a flat screen TV with OVHD Decoder, guests are welcome to bring their own DStv Decoders as there is a connection point available. The lounge and main bedroom both leads out on the balcony with a built in Gas braai where you and your family can enjoy a magnificent sea view in any kind of weather. The open kitchen is fully equipped for all your holiday needs. Linen is provided but guests will need to bring their own beach and bath towels. 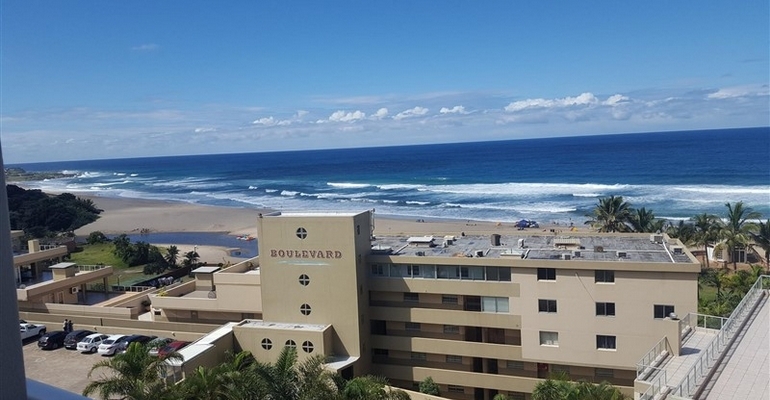 Places to visit and things to do in and around Margate includes Oribi Gorge, Pure Venom Snake Park, Scuba Diving, Deep Sea Fishing, Wild Coast Casino, Croc World, Beaver Creek Coffee Farm, Shelly Shopping Centre, Craft Shops and much more. Shops, restaurants, pubs, night clubs and much more are within walking distance of the apartment, what more can one ask for on your well deserved holiday break. Rates are negotiable dependent on season and duration of stay. Starting from as low as R400 per night up to R1400 per night.